Clifford Michael “Cliff” Atkins, II, age 49, resident of Whiteville, Tennessee and husband of Julie Phillips Atkins, departed this life Sunday morning, October 28, 2018 at the Bolivar General Hospital in Bolivar, Tennessee. Funeral Services with Police Honors for Mr. Atkins were held at 11 A.M. Wednesday, October 31, 2018 at the Peebles West Funeral Chapel at Oakland with Bro. David Reeves, pastor at Midway Baptist Church in Whiteville, officiating. Interment followed in the Fayette County Memorial Park Cemetery on Highway 64. Arrangements were provided by Peebles Fayette County Funeral Homes & Cremation Center - West Chapel at Oakland. Mr. Atkins was born June 3, 1969 in Dunoon, Scotland. He was preceded in death by his parents, Clifford Michael Atkins, Sr. and Elizabeth Anne Scudder Atkins. He received his education in Union City, Tennessee and was married June 19, 1999 to the former Julie Phillips Atkins. 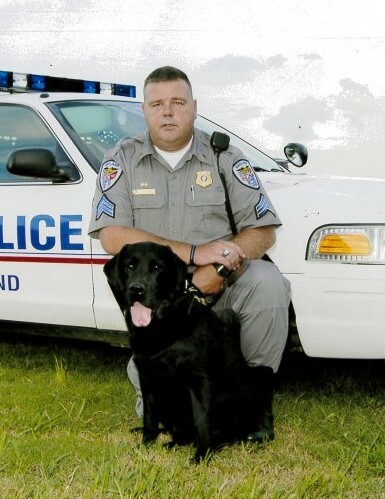 Mr. Atkins served his country in the United States Marine Corps and was employed as a police officer for many years, most recently in Oakland, Tennessee. He enjoyed motorcycles and cars. Mr. Atkins is survived by his wife, Julie Phillips Atkins of Whiteville, TN; four daughters, Summer Atkins of Clinton, KY, Hannah Atkins of Union City, TN, Hailey Atkins of Dyersburg, TN, Lauren Prater of Halls, TN; three sons, Phillip McMahan of Whiteville, TN, Clifford Michael Atkins, III (Trey) of Dyersburg, TN, Caleb Atkins of Whiteville, TN; and five grandchildren, Trey Woods, Evee Woods, Clayton Vires, Brantley Tennant and Kennedy Atkins. Those honored to serve as pallbearers were Larry Gaines, Mike Presson, Dale Phillips, Keith Hogwood, Glen Pace and Mike Strickland. The family requests that memorials be directed to the Tennessee Police Benevolent Association, 653 Jefferson Avenue, Memphis, TN 38105-4911 or St. Jude Memorial Giving, 501 St. Jude Place, Memphis, TN 38105-9959.